University of Iowa student Elliot Stalter walks around Art Building West in Iowa City on Saturday, Sept. 22, 2018. Stalter conducted research on how building construction, lights, and windows affect deadly bird collisions. University of Iowa student Elliot Stalter designed a research project to find out how many birds were hurt or killed after colliding with campus buildings. He hopes his findings will lead to change. Elliot Stalter spent his semester picking up dead birds. Every other morning, the University of Iowa student woke up early to walk the perimeter of campus buildings, searching for birds that were hurt or killed after colliding with windows. “You can see the conflict between civilization and nature, which I think is kind of cool but also a little bit sobering,” Stalter said. One September morning, Stalter had his eyes on the ground as he walked around a 500,000-square-foot complex of three buildings on the UI’s medical campus. 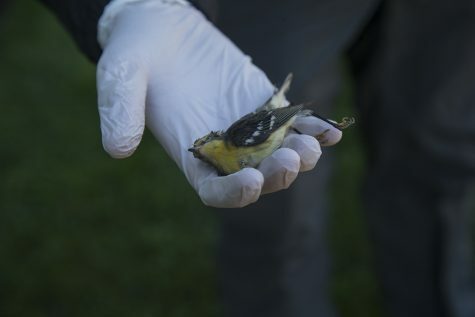 When he encountered a tiny blackburnian warbler lying dead in the grass, he first bent to the ground to take a photo, then slipped on a latex glove to examine the bird. UI student Elliot Stalter holds a dead blackburnian warbler outside the Carver Biomedical Research Building in Iowa City on Saturday, Sept. 22, 2018. The adult warbler likely hit the enormous windows on the north side of the building while migrating south. The warbler was one of 101 birds Stalter and his team of two students encountered during a 10-week research project that Stalter designed. 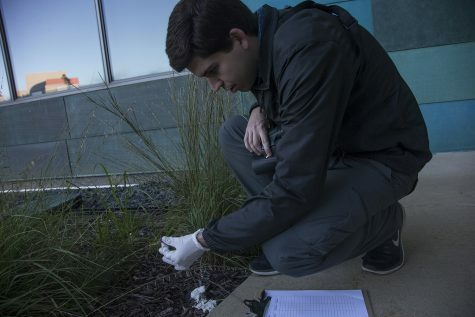 Every other morning from Aug. 27 to Nov. 3, the three looked for dead birds, injured birds, or evidence of birds that had hit the windows of five campus buildings — Catlett Residence Hall, Hancher, Voxman Music Building, Art Building West, and the three-building medical complex (Pappajohn Biomedical Discovery Building, Medical Education & Research Facility, and Carver Biomedical Research Building). Stalter, an avid and sometimes competitive birdwatcher, did not do this study for his résumé nor to fulfill any academic or research requirement. He simply wanted to do something for the birds. Migrating birds can’t see glass windows, and at night, they are attracted to the lights in buildings. When birds collide with windows, their injuries can be fatal. A 2014 research study showed that anywhere between 100 million to 1 billion birds die because of building collisions in the U.S. each year. More than half of these incidents occur at low-rise buildings, such as the ones Stalter examined. Some minor changes, like turning off a few lights in buildings at night, could help reduce the impact, Stalter said. 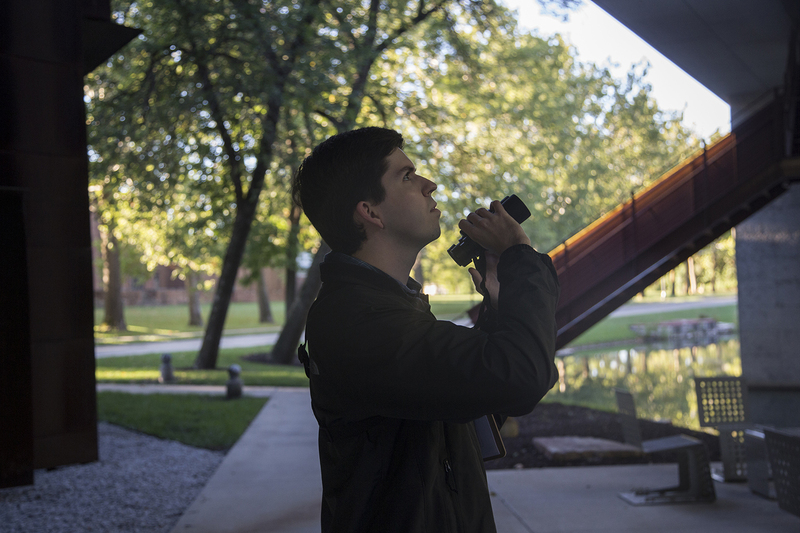 He will use the results of his study to advocate for some low-impact modifications at the UI to deter migrating birds from glass windows. Although he plans to conduct more thorough statistical analyses on his data, the initial count of dead and injured birds showed the medical complex with the highest number, followed by Hancher. 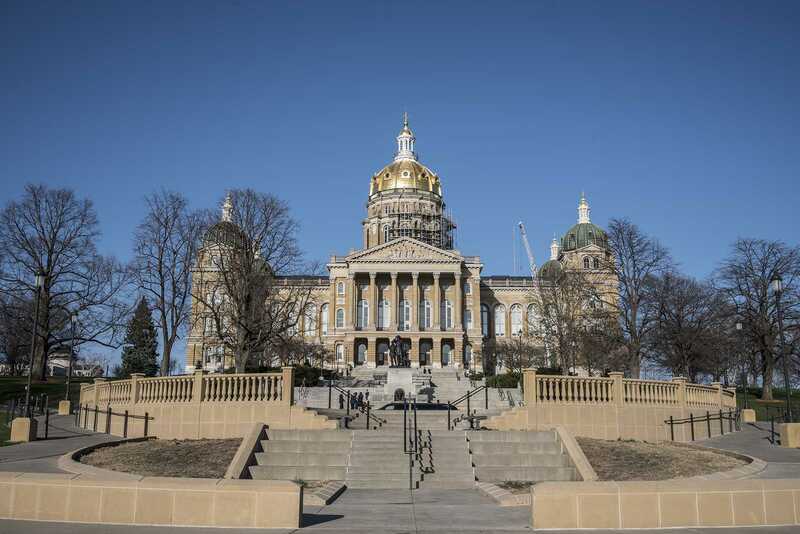 The Iowa City native understands that lights may need to stay on in some campus buildings for safety reasons, so he hopes to propose a minimally invasive solution, possibly lowering lights for just the few days in the fall season with prime weather conditions for heavy migration. 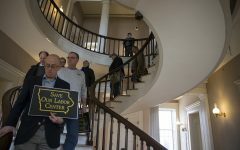 Generally, lights in campus buildings are controlled by motion-sensing, UI Facilities Management strategic communications manager Wendy Moorehead said. “The safety and security of building occupants and campus resources are critical considerations when determining lighting in and around buildings at night,” she said. Stalter received a $400 grant from the Iowa Ornithologists’ Union for his research, which allowed him to pay two fellow students to help him with the data collection. Jamie Tigges knew Stalter from a bird survey course they took together over the summer and wanted to join in to protect his favorite animal. “I think specifically from the human standpoint, we’re kind of responsible to try to do our best if we know [we’re] hurting something,” Tigges said. Neil Bernstein, an adjunct professor in the Department of Earth and Environmental Science who teaches a bird study field course, said the Iowa River serves as a migration corridor, bringing a concentration of birds through the heart of the UI campus. A possible solution, Bernstein proposed, would be to construct new buildings with a special glass that birds cannot see through. ArnoldGlas manufactures a bird-protecting window glass that uses a UV-reflective coat that is invisible to humans, but to birds, looks like an impassable fence of sticks. UI student Elliot Stalter examines a pile of feathers outside of the Pappajohn Biomedical Discovery Building in Iowa City on Saturday, Sept. 22, 2018. Stalter said the pile may indicate a bird hit the building and flew away. Any technology new to the UI to prevent bird collisions would need to go through research, development, and cost analyses before being considered, Moorehead said. Currently, new building designs seek to prevent bird nesting, which Moorehead said can also help prevent collisions. 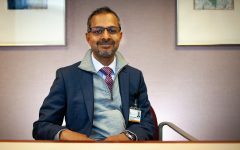 Stalter doesn’t plan to do a follow-up study, because his goal was simply to gather the data to supplement proposed policy changes. Injured birds often would fly away, or Stalter could contact a local nonprofit clinic for injured birds, Raptor Advocacy, Rehabilitation, and Education Group. Bernstein cited the philosophy of Aldo Leopold, a writer, conservationist, and Iowan, to describe why we should care about the fate of birds.